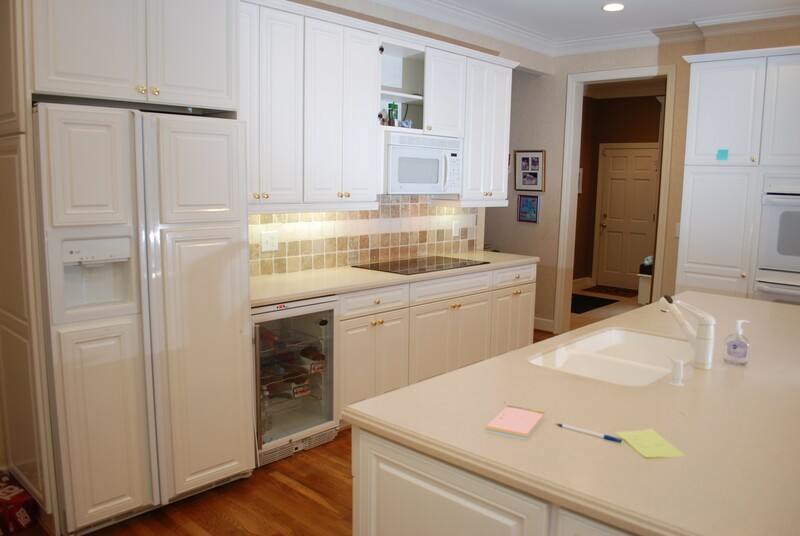 This Sandy Springs kitchen had an excellent layout and the cabinets were in good shape. 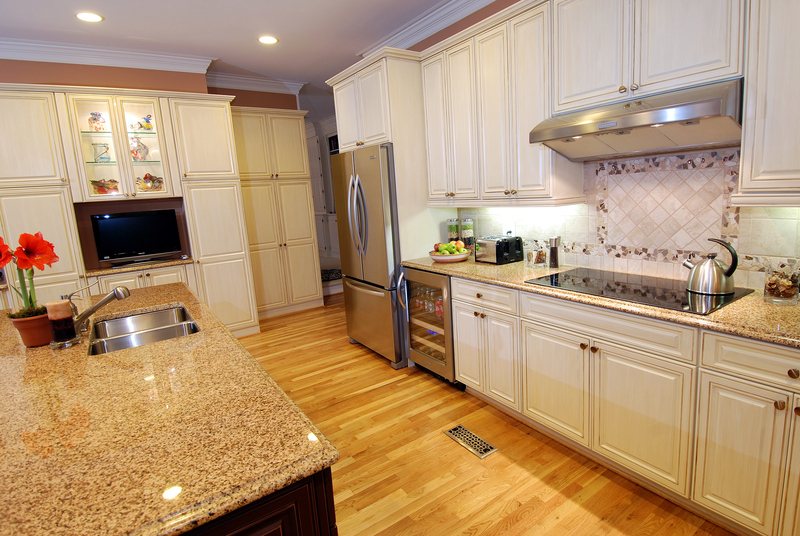 To update the look, a number of minor changes were made to create focal points and a bright, fresh look. 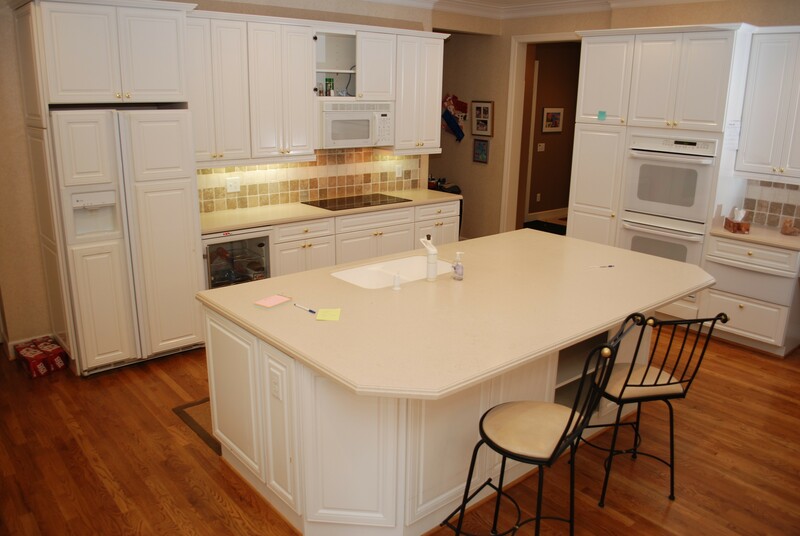 The cabinets were faux painted with the island in a different color to make it more prominent. 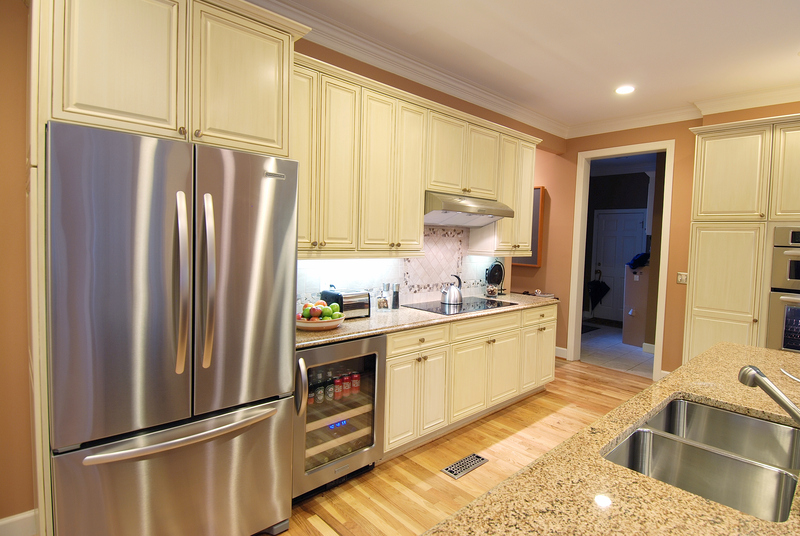 New stainless appliances, granite countertops, and a new backsplash completed the renovation. 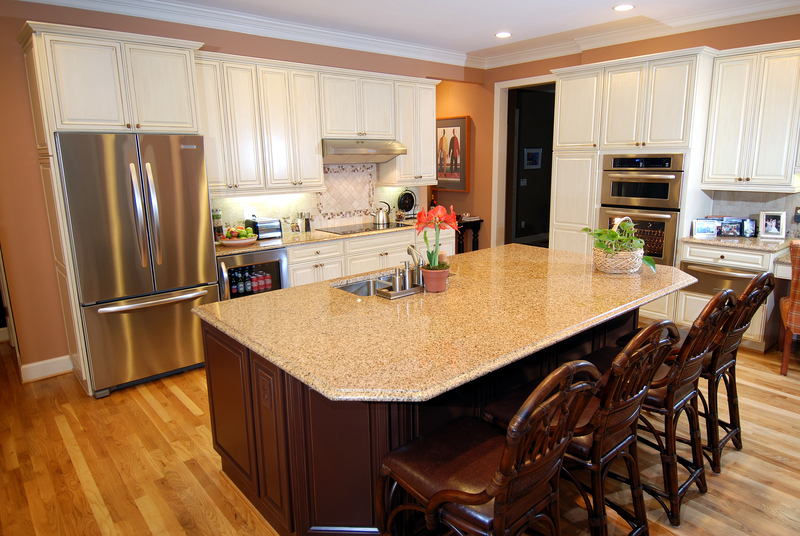 The completed project showing the new color scheme – stainless, warm granite, faux painted cabinets and more. A view of the renovated space from the chef’s perspective. 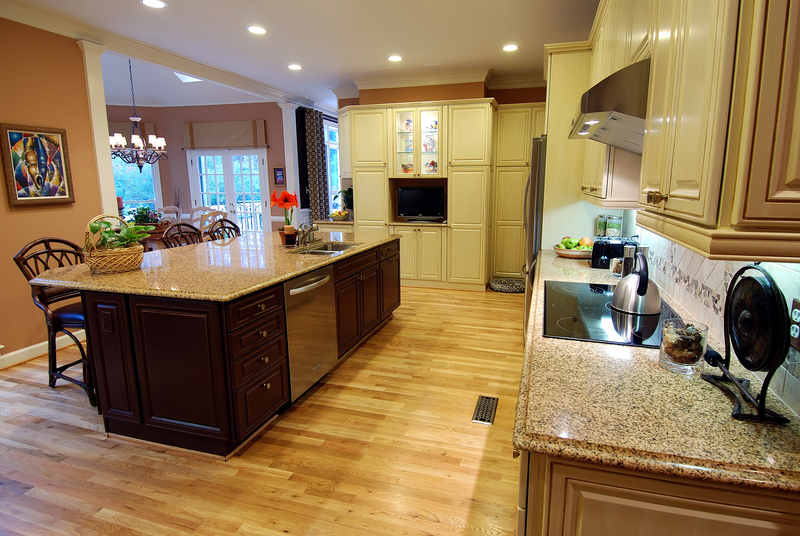 A view of the kitchen showing the back side of the island and the orientation relative the the morning room. 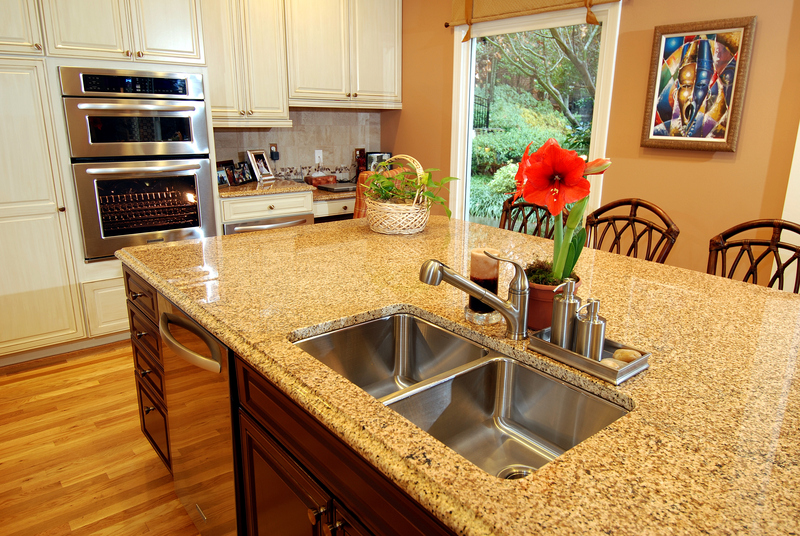 The new appliances add an edge to the space visually. 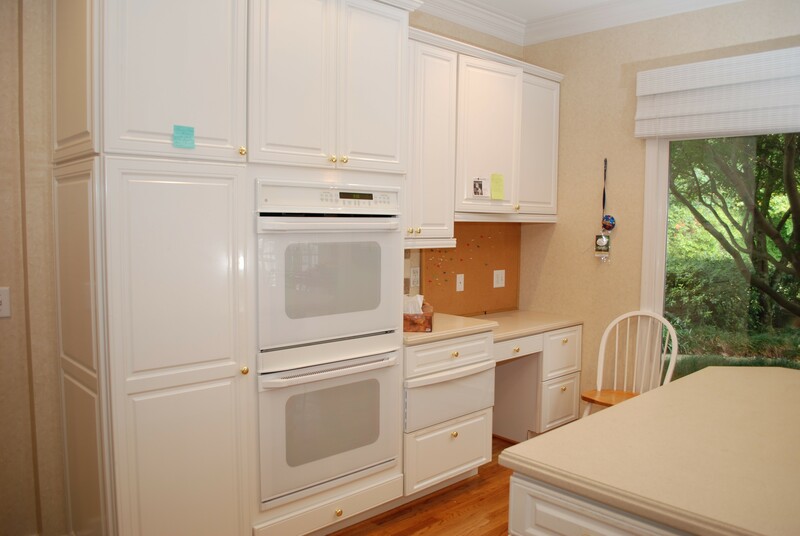 The French door refrigerator is a popular choice. The back splash behind the cook top has a subtle detail that helps set it off from the rest of the space. A picture of the space before the renovation. 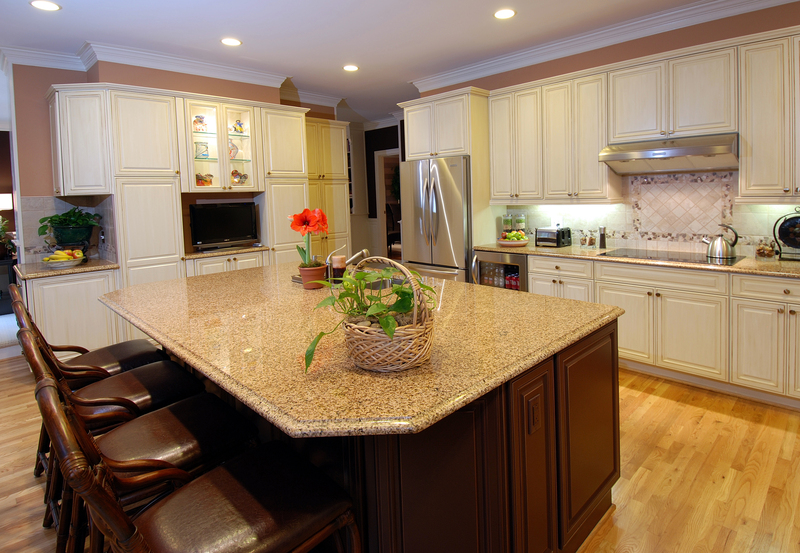 The white cabinets and plain counter tops leave the space feeling dated. The desk area of the kitchen before the update. A closer look at the old back splash. The tile colors are plain and the installation doesn’t create any visual focal point.